External Dimensions: 5.32" Length x 5.32" Width x 5.51" Height; Internal Dimensions: 4.72" Length x 4.72" Width x 5.12" Height,please double check whether the dimensions fit your Kleenex Box before ordering. Animal print design, fully functional and practical. New design!!! 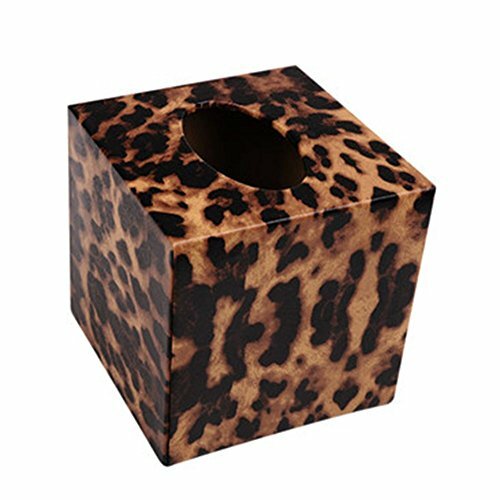 The internal height is 5.12",will fit your tissue box better.External Dimensions: 5.32" Length x 5.32" Width x 5.51" Height; Internal Dimensions: 4.72" Length x 4.72" Width x 5.12" Height. If you have any questions about this product by S Forever, contact us by completing and submitting the form below. If you are looking for a specif part number, please include it with your message.